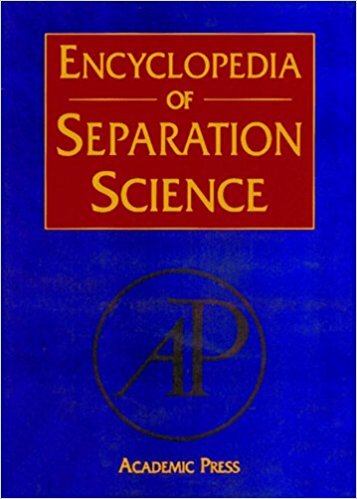 The Encyclopedia of Separation Science is the most comprehensive resource available on the theory, techniques, and applications of separation science. The work presents information on three levels. The first volume contains Level 1, which provides a broad overview of the theory of the 12 main categories of separation techniques. Volumes 2-4 (Level 2) expand coverage with detailed theoretical and technical descriptions of particular techniques. The remaining Volumes 5-9 (Level 3) cover applications of these techniques from the micro to the macro, and also from the analytical laboratory bench to large-scale industrial processes. Volume 10 consists mainly of the index. Initial access to the online version offering extensive hypertext linking and advanced search tools is available with purchase. Ongoing access is maintained for a minimum annual fee. The Encyclopedia of Separation Science is the first truly comprehensive work covering the whole of separation theory, methods, and techniques. This encyclopedia will be invaluable to researchers and professionals across a wide range of areas in academia and industry.